Button 1 to 13 each has a corresponding LED indicating their status. Mode and turbo button also have their own LED lights to indicate their working status. 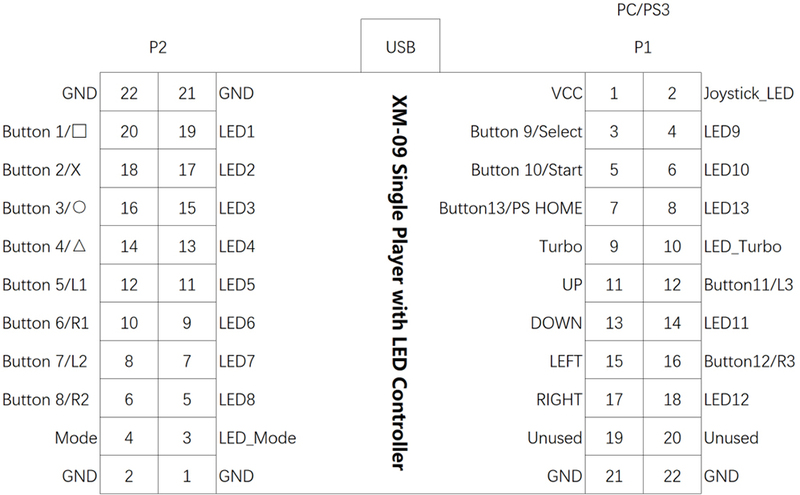 Button 1-13 LED effect can be configured to the following 4 states. The default state is that all the LEDs are disabled. All LEDs are turned off status, the corresponding LEDs light up when the button is pressed. All LEDs are turned on status, the corresponding LEDs light down when the button is pressed. Use the joystick's UP + Mode button to swich through the above modes. In any LED effects, the indicator of the Mode button is lighting on, indicating that the direction of the joystick is controlled in the Ditigal-pad state. Otherwise it controlled in X/Y axes. In any LED effects, the indicator of the Turbo button is lighting on, indicating that the continuous push function is enabled. When all the buttons have not been pressed for more than 6 minutes, all LEDs show a breathing effect. The LED effects and Mode configuration are stored internally. Next time plug in will read these configruation first, No need to reconfigure. Please note: The LEDs use a common anode connection. 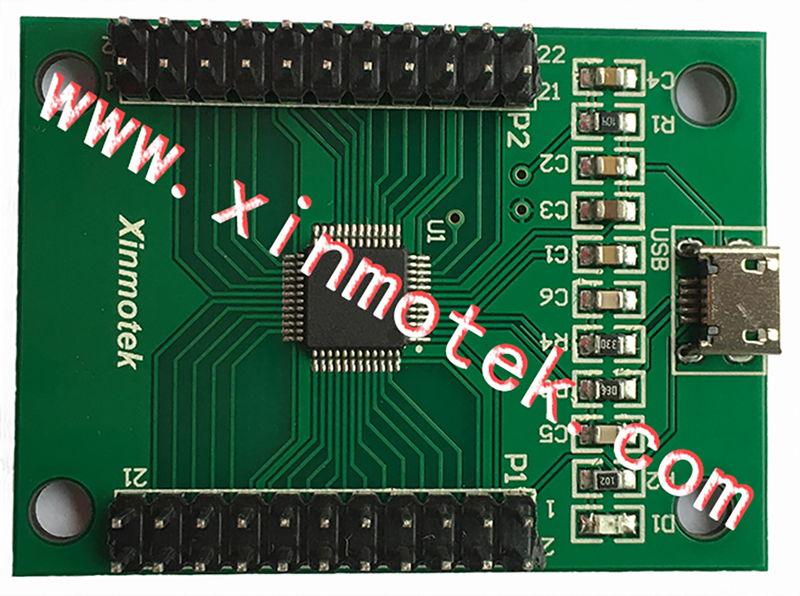 The LED is a diode, so the pins have the difference between positive and negative electrodes. If the pins are reversed, it will not light.